We are so excited for the Olympics!! 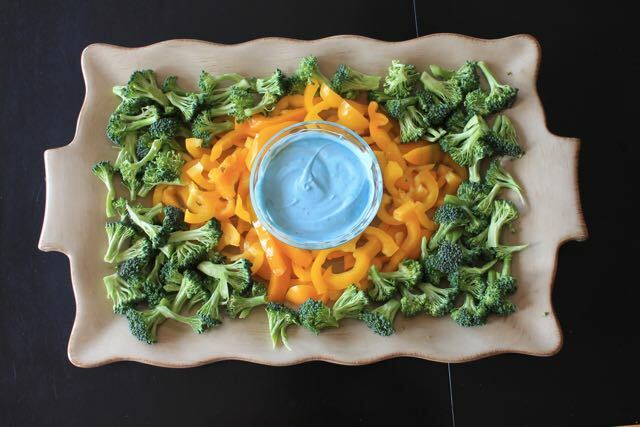 This weekend we had an olympic get together with some friends to start getting in the spirit of the games. We met at a park and brought Brazilian or Olympic themed foods, and set up stations with the different sports for the kids to try. 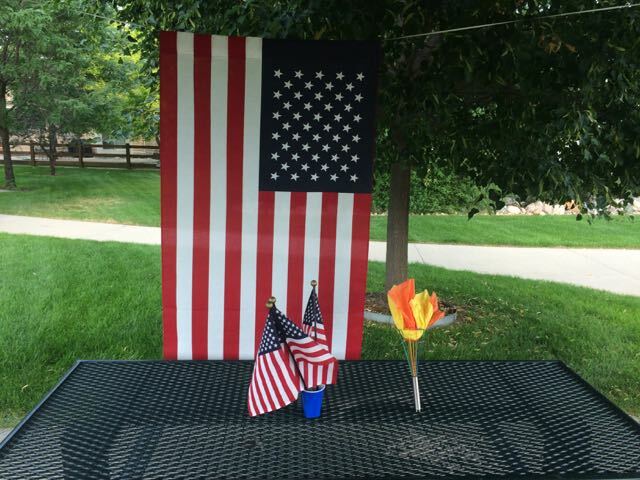 We also set up this flag for family photos, which turned out really cute. It was also our podium for the medal/closing ceremonies, where all the kids were awarded a chocolate gold medal and we played the national anthem. For sports, we had gymnastics, track and field, soccer and golf. In gymnastics we had a 2x4 balance beam on the ground, a mat for tumbling, ribbon sticks (see how to make them, in this post) and a bouncy ball for rhythmic gymnastics. For track and field we set up markers for long jump, hurdles (see how to make easy ones, here), and frisbees for discus. 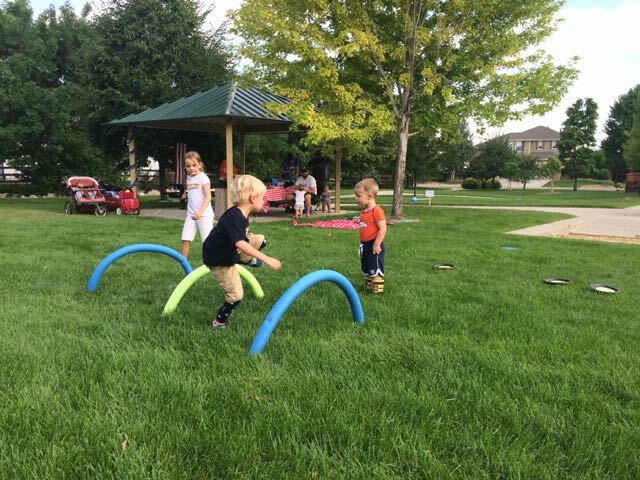 Since the kids at the park were of all different ages from 1-10, we didn't make it a competitive event, we just let everyone have fun trying the different sports. 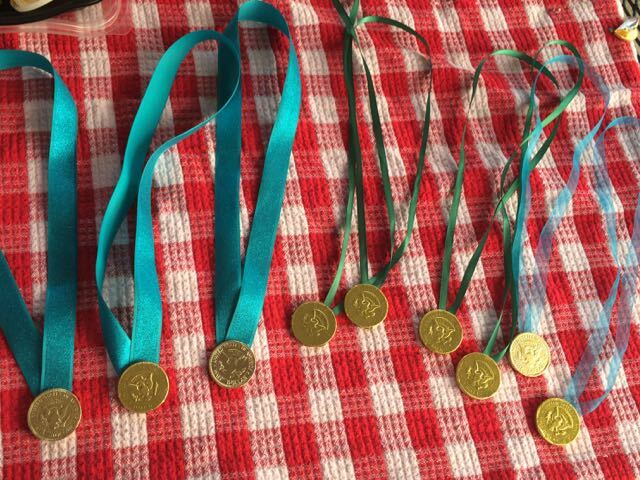 So at the end everyone got a gold medal made out of chocolate coins. I just hot glued the ribbons to the back and we were golden. We are excited for the opening ceremonies on Friday!! Let the games begin and Go Team USA!! My boys are huge fans of the PBS show Odd Squad. 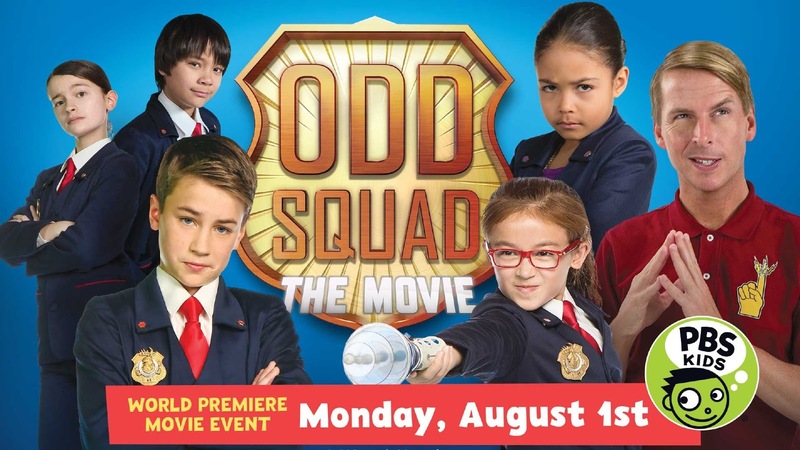 So they have been counting down to the Odd Squad Movie that will be airing on Monday, August 1. 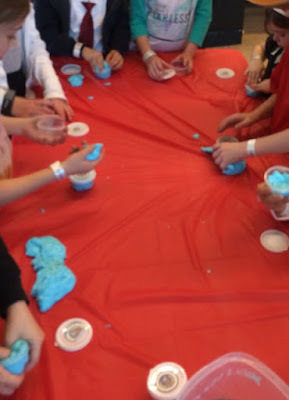 Thing One had an Odd Squad birthday bash this winter and I thought now would be a good time to share some of that party fun. 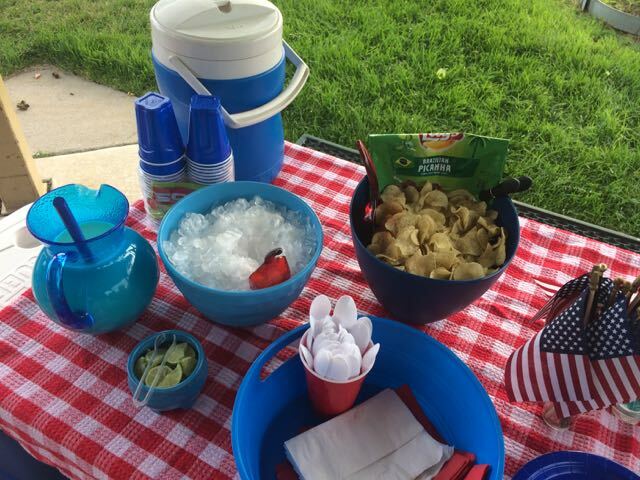 We might pull out some of these things again and have a movie watching party next week. 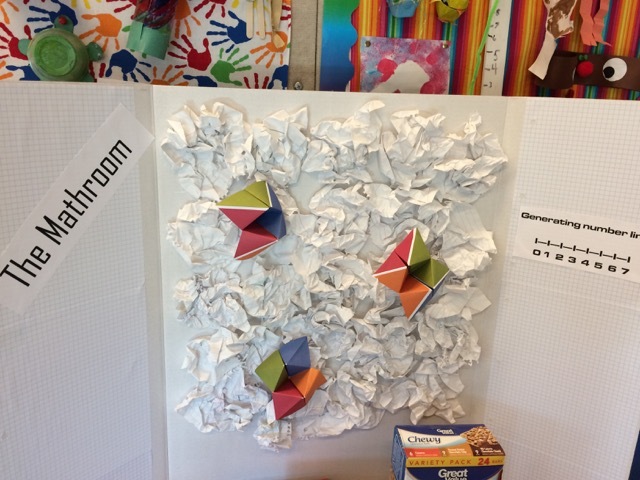 We set up an area with the Mathroom, which served as a photo booth backdrop later as well. This was also the craft station where all the agents got to create their own gadget out of recycled materials . Thing One dressed up as Oscar. All the kids got a badge (find free Odd Squad printables at the PBS website, here). 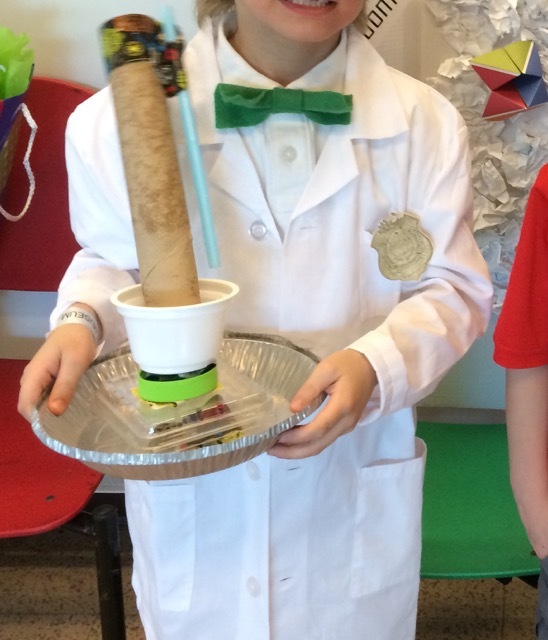 Here's Thing One with the gadget he created. 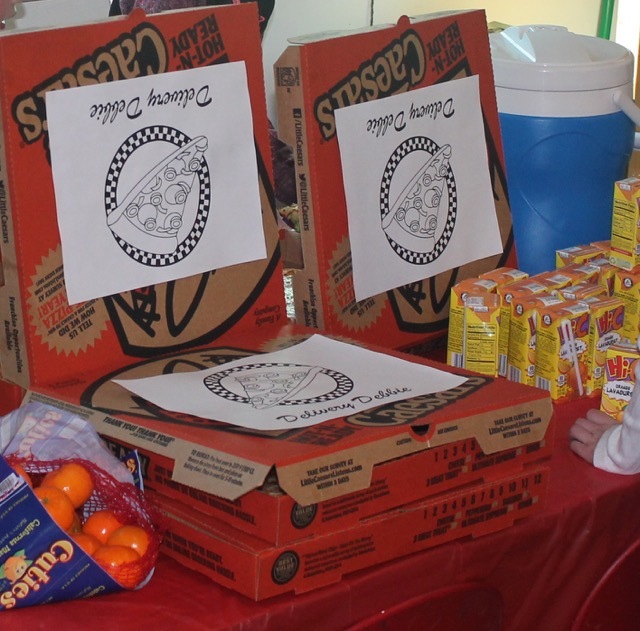 All the kids were so creative and they loved doing this! It was really fun to see what they could make with just some trash and duct tape. They also had to solve an odd problem. We had a huge blob on the loose and they had to figure out how to divide it into a small container for each of them, evenly. 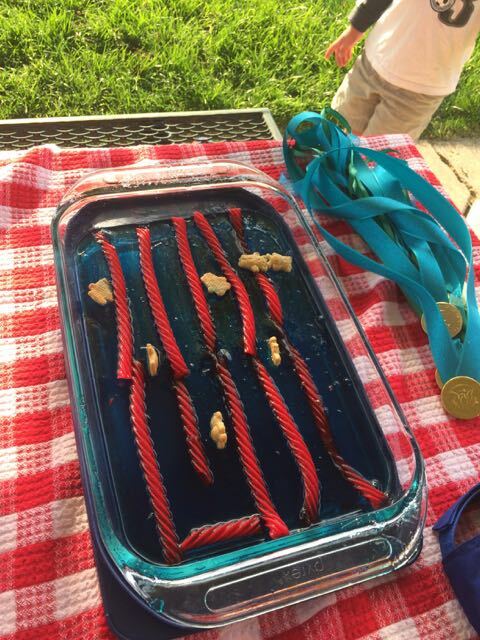 (The blob was just homemade blue gak--get the recipe here.) I printed little Odd Squad seals for the mini containers. 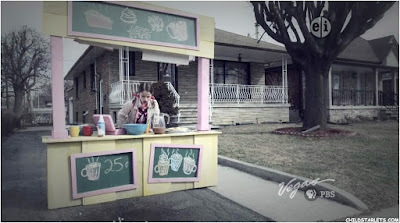 I love Polly Graph's Lemonade Stand. Of course in the winter she has to switch over to hot chocolate. 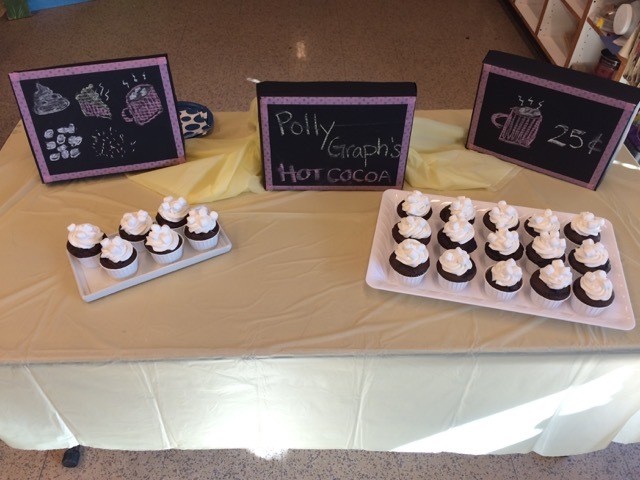 Since our party was in the winter we went with her hot cocoa version, and made hot cocoa cupcakes. 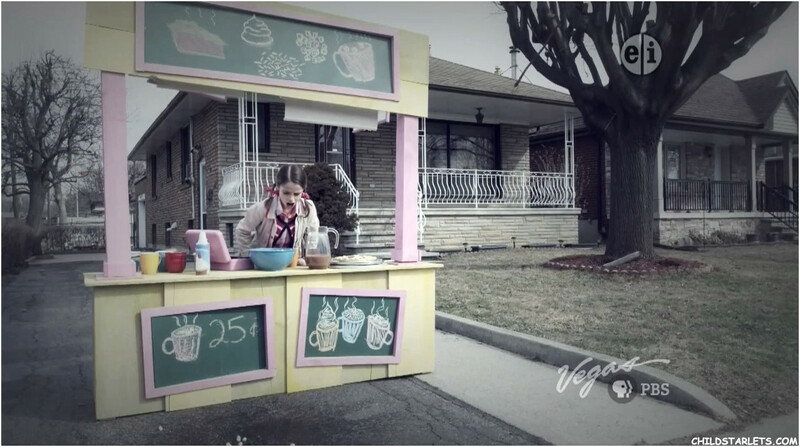 A lemonade stand would be really fun in the summer though. 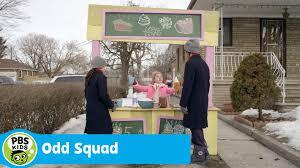 We love Odd Squad, and we are looking forward to a fun movie day at home on Monday. I hope you are having a happy summer. It's going too fast! Howdy! I saw a cool art project recently and we tried it and loved it, so I thought I'd share it with you. It's cheap and easy! All you need is two clear plastic cups and a variety of permanent markers. We used fine point Sharpies. Step one: use black marker to draw a simple character on the cup. Step 2: Slide another cup over the first, then use colored markers to draw clothes and accessories for your character. Here's what it looks like when you take them apart. Then rotate the top cup a quarter turn and draw another scene. You could do multiple characters on the bottom cup and then just make a top accessory cup for each of them. Things One and Two loved doing this. If you are looking for a non-messy craft time, this is it! I hope you are having a happy summer! Hello! Happy summer, it's hot here and finally feels like summer! I'm so excited for all the adventures we will have and for the lazy days too. We just got back from Yellowstone and I'm just starting to sort through pictures. 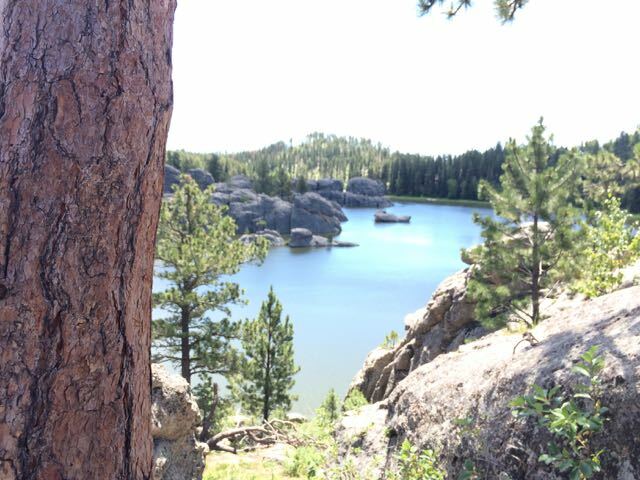 Last summer we spent a week in South Dakota and loved every minute of it, so I thought I'd share about that trip in case you are still planning this summer's adventures. 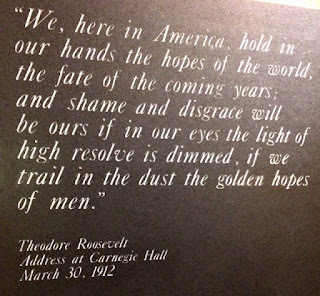 2016 is the 100th anniversary of our National Parks. 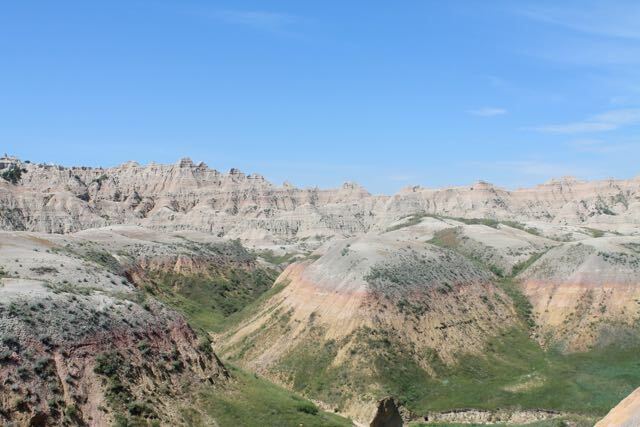 National Parks are my absolute favorite and basically every vacation we ever take in America will likely include a trip to a National Park or Historic Site. I just think it is such a great value and a great opportunity to really see America. If you are going to visit more than one place in a year, I definitely recommend getting an Interagency Pass. The Interagency Pass is $80 and it's good for one year for your entire family (or whoever is in your car) at any of the national parks/federal lands/historic sites throughout the country (read about that here), there's at least 64 places just in Colorado. Additionally, if you are in the Military or 4th grade, your pass is free (for the whole family)! You can see all the places your National Parks pass is good right here. 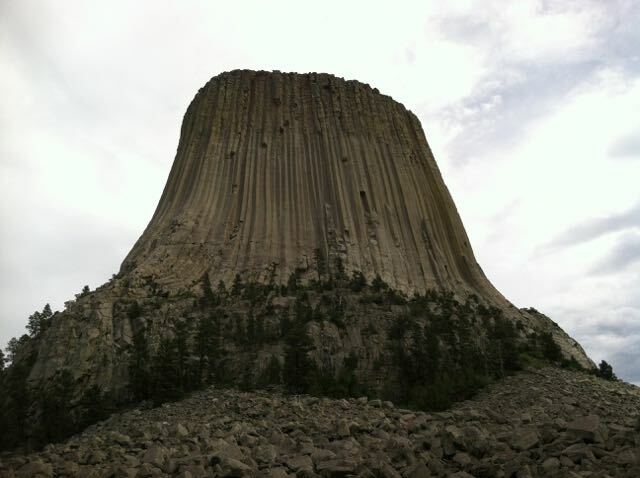 We were driving from Colorado, so we decided to start by swinging up north to Devil's Tower in Wyoming. We spent just a couple of hours here checking out the visitor center and climbing on the boulder field. The rocks were huge and I was a little nervous as the crevices between them were large enough to swallow a small child or two, but it was fun and we returned with both boys. It's cool to watch the expert rock climbers make it to the top. They look so tiny up there! It was a great chance for us to stretch after several hours in the car. 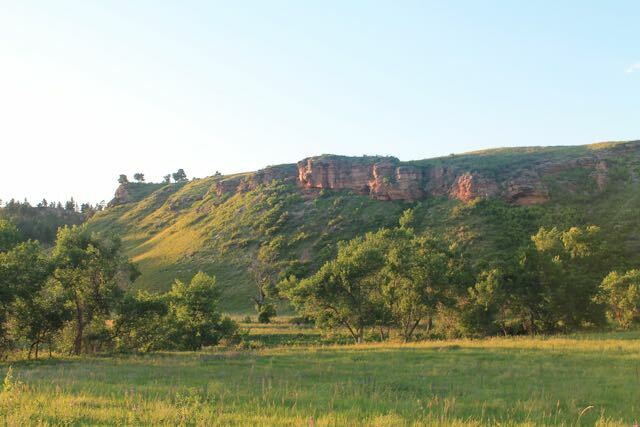 Then we continued the rest of the way to Rapid City, SD. 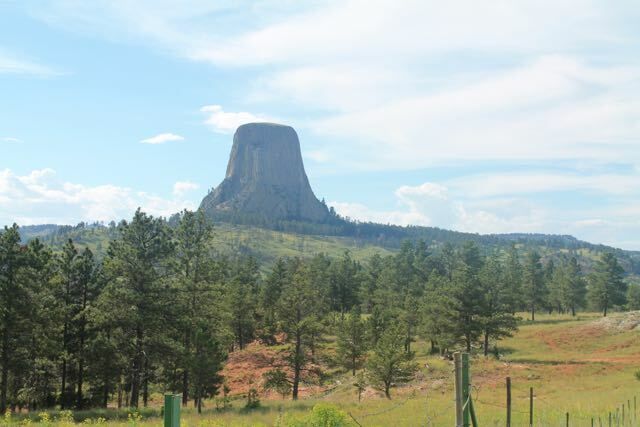 The view of Devil's Tower from afar. 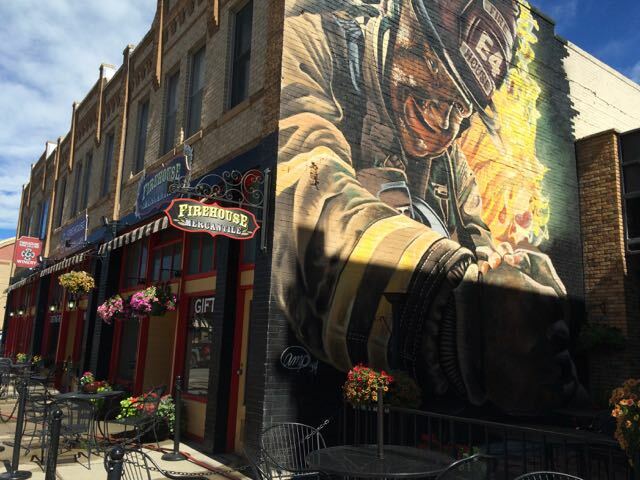 When we got to Rapid City we spent the first day just exploring the small town. It's a super cute town with lots for families to do. We especially loved the splash park in Main Street Square. 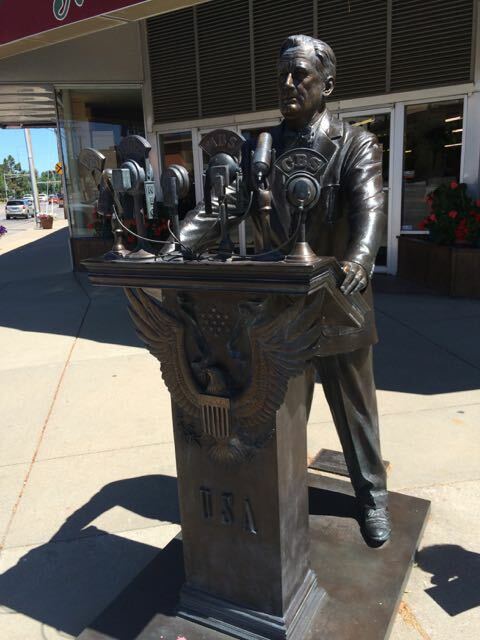 Rapid City is known as the "City of Presidents" because they have a statue of every president on the corner of almost every downtown block. Check out the city website here for info on the presidential scavenger hunt. Things One and Two loved trying to find them all and match up the picture clues. 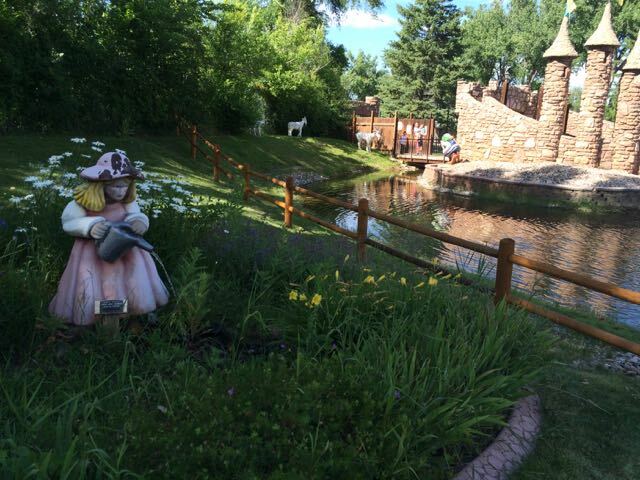 The other thing that was fun in Rapid City was Storybook Island. This is a giant free park that is filled with play forts and characters from classic children's tales. The park is free, but they sell snacks and charge for rides on the mini train and carousel (you are not allowed to bring in outside food, but there are picnic tables just outside the gates in the city park). 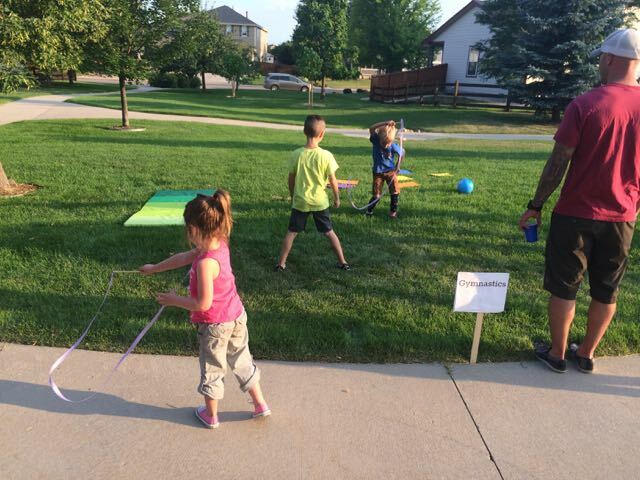 This was a great afternoon activity for young kids. Both boys loved finding characters from so many stories (The Wizard of Oz, Winnie the Pooh, Cat in the Hat, and all the classic fairy tales). 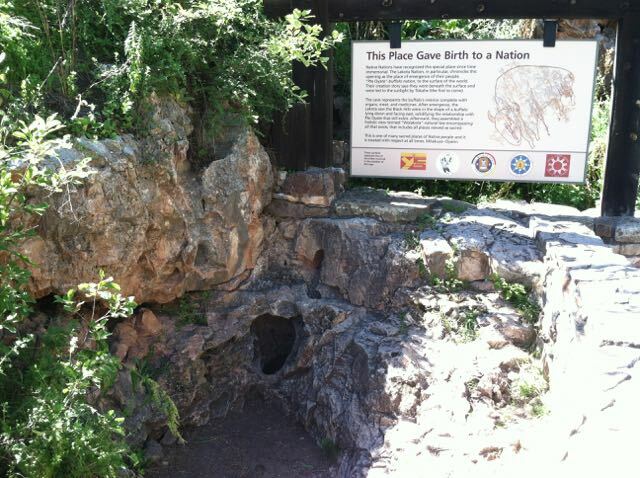 The next day we sent to both Wind Cave National Park and Jewel Cave National Monument. The great thing about the caves is that weather is never a factor. Whether its rainy or 100º the caves are cool and mostly dry. Jewel Cave National Monument. The caves were a little different than other National Parks/Monuments, because you do have to pay to go down into the caves. 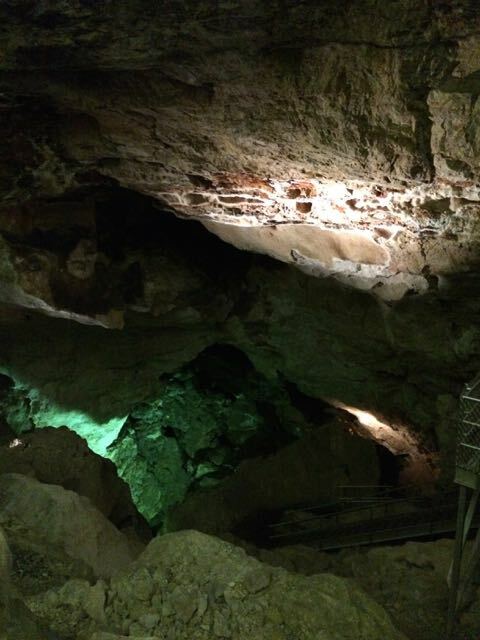 You can hike and explore above ground, but going into the caves requires a tour guide for safety, so you need to buy tickets and plan your day around the time of the tour you're taking. We stuck with the short and really basic tours, since we had pretty small kids. Young kids are not permitted on the longer underground hikes. So make sure to check all the details before buying your tickets. 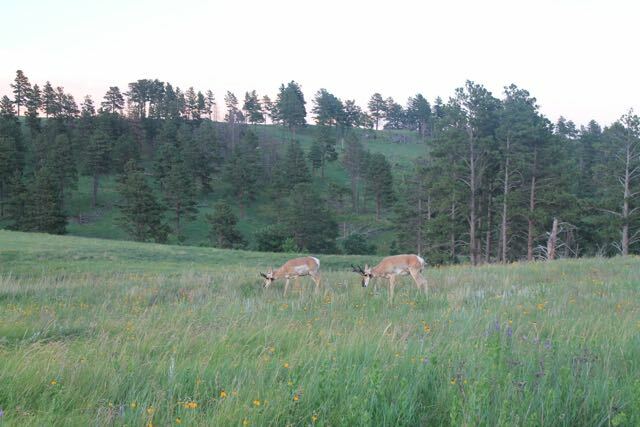 One of our favorite parts of the trip was driving through Custer State Park. It's so beautiful. 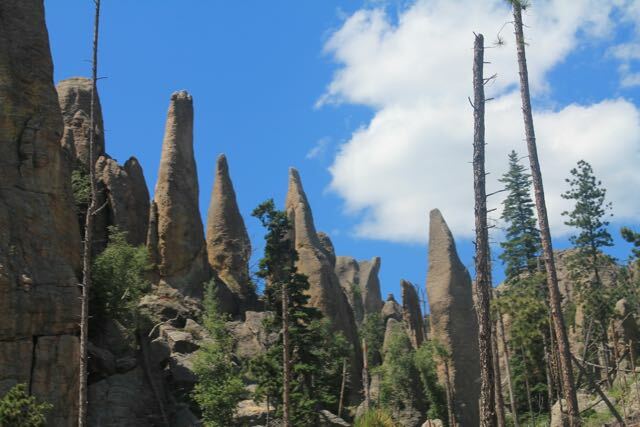 We drove Needles Highway and hiked around Sylvan Lake. We did do Bear Country USA. 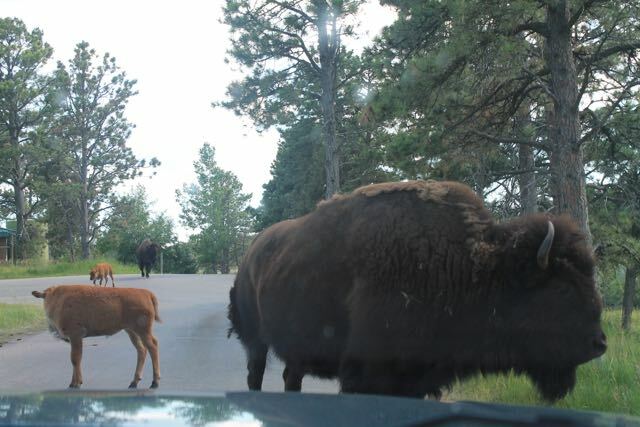 It's like a drive through zoo of bears, and a few other animals. It was both weird and cool. 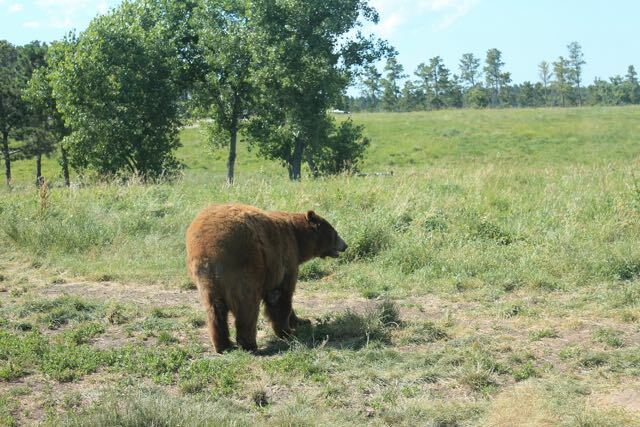 It was pretty fun to see all the baby bears and so many big bears, but felt really touristy. A lot like the zoo I guess. 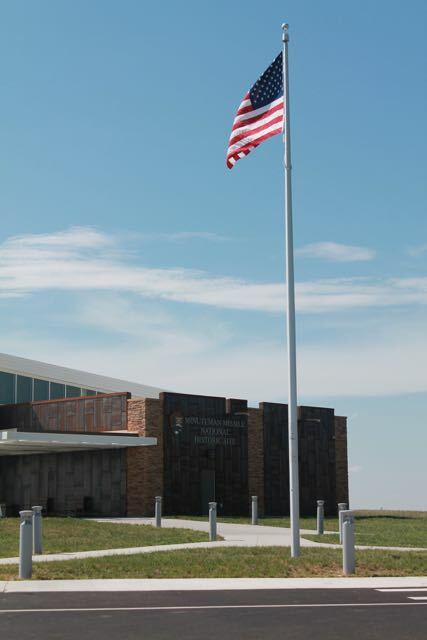 I wouldn't have know about this if I hadn't read it on another blog, but out toward the Badlands you will find the Minute Man Missile National Historic Site. If you are a collector of Jr Ranger badges, or interested in the Cold War, this is a good stop. Thing One and I went through the museum-like visitor center in about 45 minutes and watched the video, which was pretty interesting. 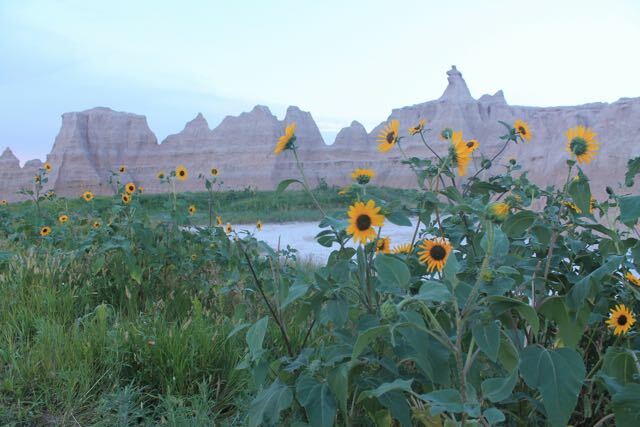 Probably my favorite day of the trip was the day we went to Badlands National Park. We saw buffalo, big horn sheep, a burrowing owl, and a turtle fossil and the landscape was just amazing. 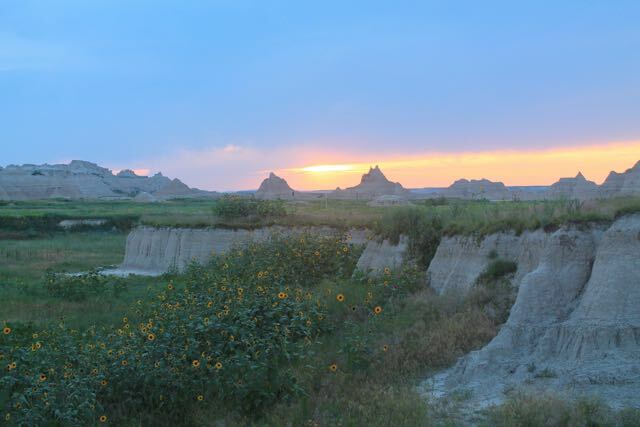 It was over 100º the day we were there in July, so we actually drove out to Wall Drug for a few hours in the afternoon, had dinner there, and came back to the Badlands for a sunset hike. It had cooled off a lot by then and the sunset was amazing. 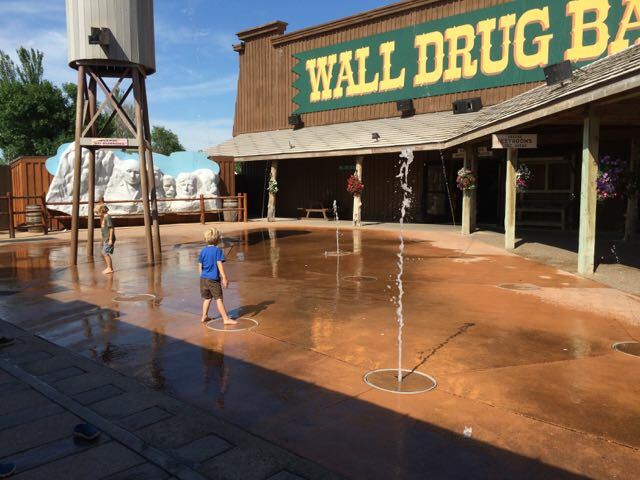 Wall Drug was the highlight of Thing One's trip. He had built it up in his mind and I don't think he was disappointed. : ) They have a splash pad in the "backyard" now and that was great because like I said, it was 100º! 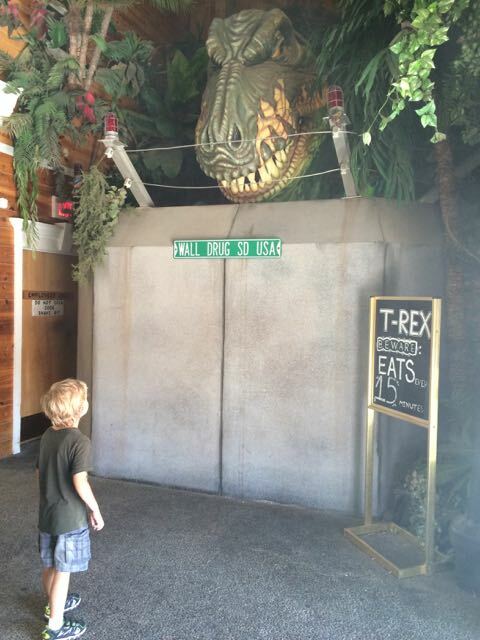 The boys also loved the live dinosaur. Wall Drug is an experience for sure. If you haven't been there, you just have to go. I enjoyed reading the history of it (find it here), and we all enjoyed our free ice water and a stop at the ice cream parlor (and the restaurant, and the bookstore, and the arcade...). 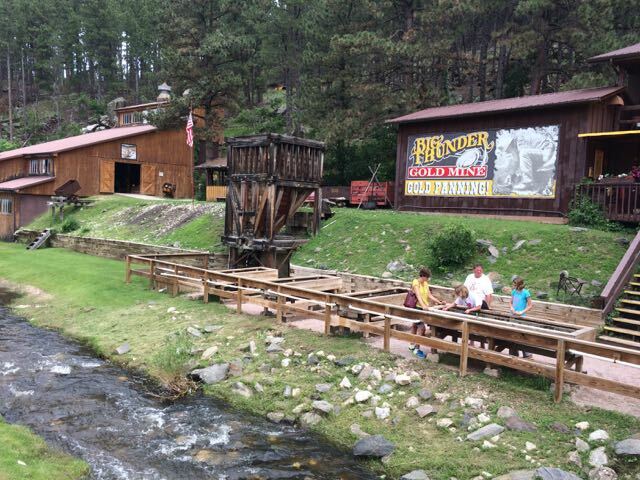 On our last day we toured the Big Thunder gold mine, and also panned for gold. They have gem panning for younger kids so that they are sure to find some treasures. We didn't find a lot of gold, but did have a good time. 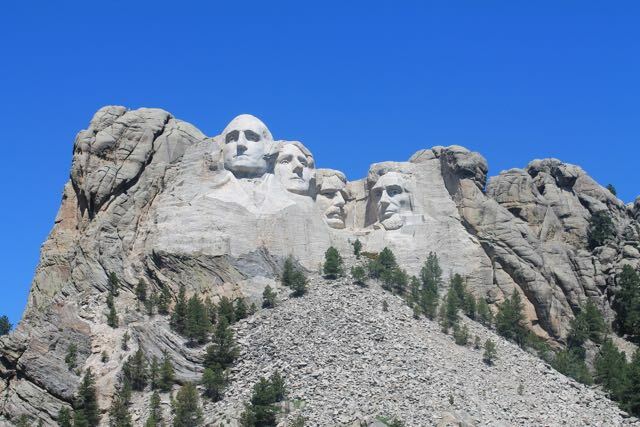 And that was our trip to South Dakota. I couldn't recommend it more. The whole time we just kept saying how fun it was. America has a lot of really great places to visit. I feel pretty lucky to be in Colorado where we are 8 hours or less to so many awesome National Parks. 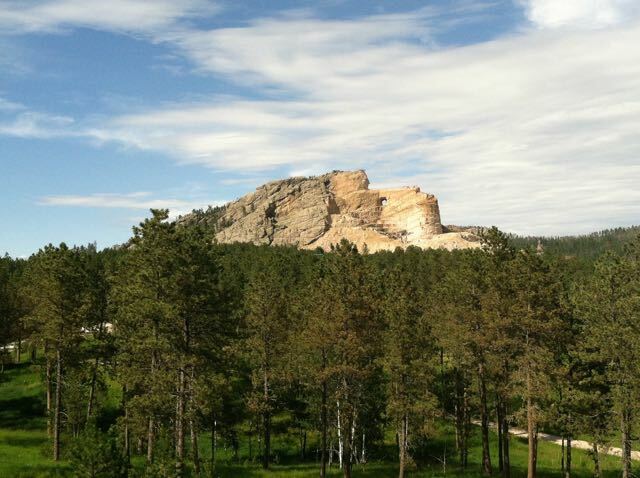 Rapid City is just a 6 hour drive from Denver. So you can leave early and be there for lunch. Even a long weekend would be worth the drive. Whatever your plans this summer, I hope that you get to enjoy some nature and some history and make some awesome memories with your family. 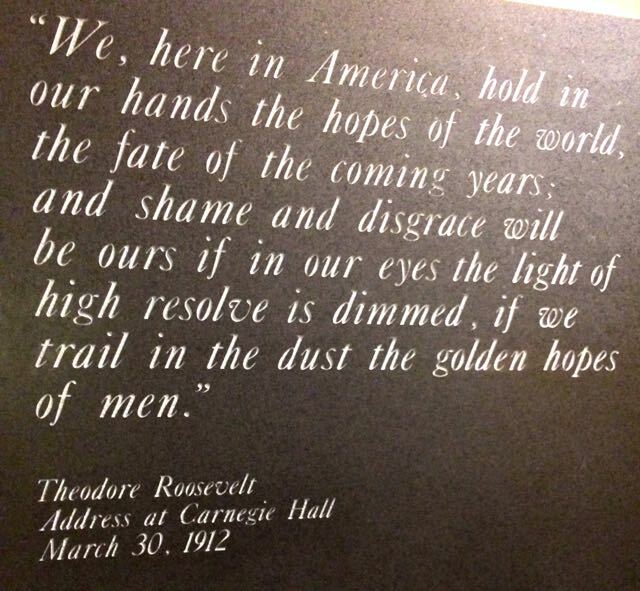 Happy 100th, National Parks. We love you a lot! Happy summer and happy travels!! I haven't mentioned this here, but our family is about eight months into our own adoption journey. While every adoption looks different, they certainly call it a journey for a reason. Ever since we started filling out paperwork and connecting with other adoptive families, I have been very interested in hearing different families' adoption stories. 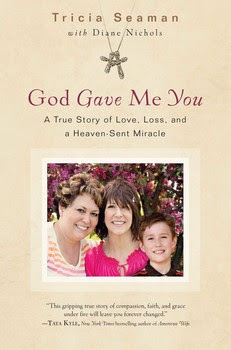 I just finished reading a new book, that was released this month: God Gave Me You, by Tricia Seaman & Diane Nichols. Trisha is an oncology nurse, who was taking care of a terminally-ill single-mom. This mother was facing a terribly painful and uncertain time, and as she got to know her nurse Tricia, came to believe that she would be the best person to take care of her son when she passed away. After just three weeks of knowing one another, she asked Tricia to adopt her son and raise him. Amazingly, Tricia and her husband had already been going through the process of becoming adoptive parents. While they were expecting a baby, this story shows how God sometimes has other plans, yet He does such an amazing job of preparing us for them, even when we don't see the turn coming in the road. It's a moving story of how two strangers became one big family in a matter of weeks, and how love and support can change a person's life and death. This quick read is a great reminder that every day is a gift, and we can make it through our darkest days when we have a friend to walk with us. You can find God Gave Me You at Howard Books, Amazon and Barnes & Noble.